God bless each of you who’ve partnered with us in the vision to establish an ongoing move of God in Iraq and the Middle East. We’re ready and able to fill this new church building with people, in fact, they’re desperately pleading with us to open the doors so they and their families can come. We’re ready to train workers to labor throughout the region. 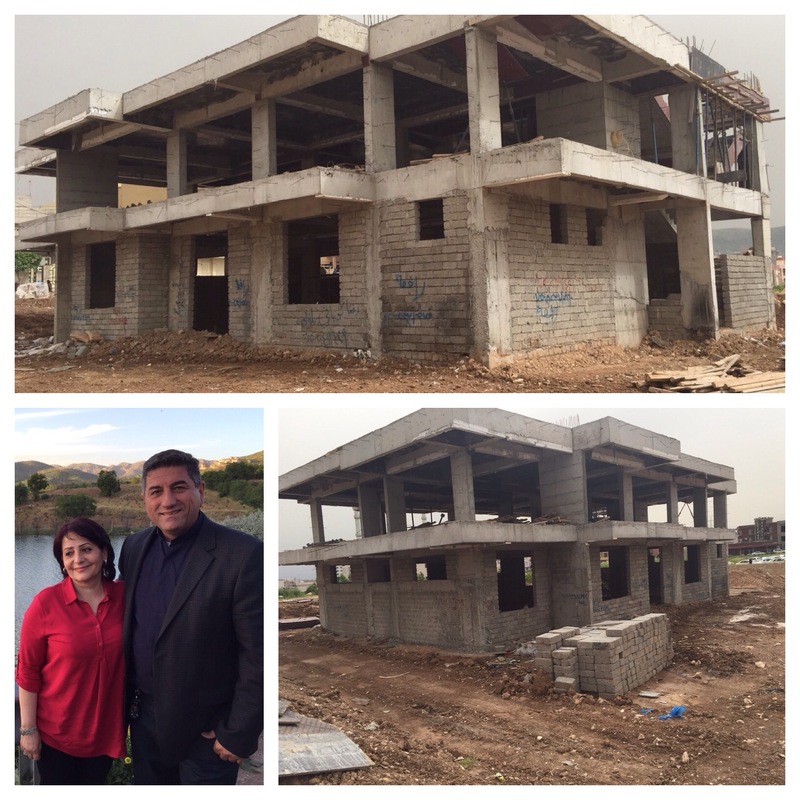 Pastor Layth already has workers coming in from Egypt to meet with him for this very purpose. All this is happening in the midst of war and one of the largest Christian persecutions in modern history. We’re not able to stand on our own to accomplish this, not yet, one day soon we’ll be strong enough, that’s our dream and our goal. For now, WE NEED YOU, our brothers and sisters in the USA and around the world to stand with us to get the work done. We’re all war weary and tired of hearing bad news but our enemies are relentless in their efforts to wipe Christians and Jews from the map. They’re armed with the best weapons money can buy. We’re facing them off with our faith and the Gospel of Hope and Peace. People over here are frightened, they’re looking for comfort and the community of faith not more empty religion. There’s a genuine spiritual hunger for God and His Word. We’re having a revival here, something not seen before. This is the time and God is moving now! Help us get our building finished and open! We’ll vindicate your trust and sacrifice invested in us. We only need $20,000 more to finish the Church. We also need monthly supporters to shore up the work here in Iraq. We live month to month, we have no reserves. We can’t help the Thousands of Refugees and IDPs in the camps and in the city or keep our workers in the field without you. The Good News is that we’re winning, praise God! Join with us in one of history’s significant opportunities. TOGETHER WE ARE DOING THIS. Be sure to follow us at JHmin.com and help us spread the word. Thank You! ← The Extinction Of Christianity In The Middle East?